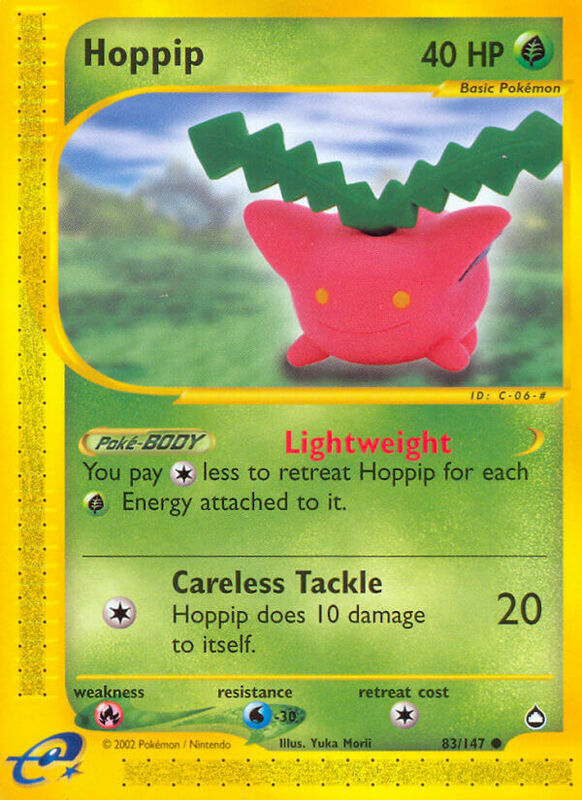 If Hoppip has any [G] Energy attached to it, the Retreat Cost for Hoppip is 0. 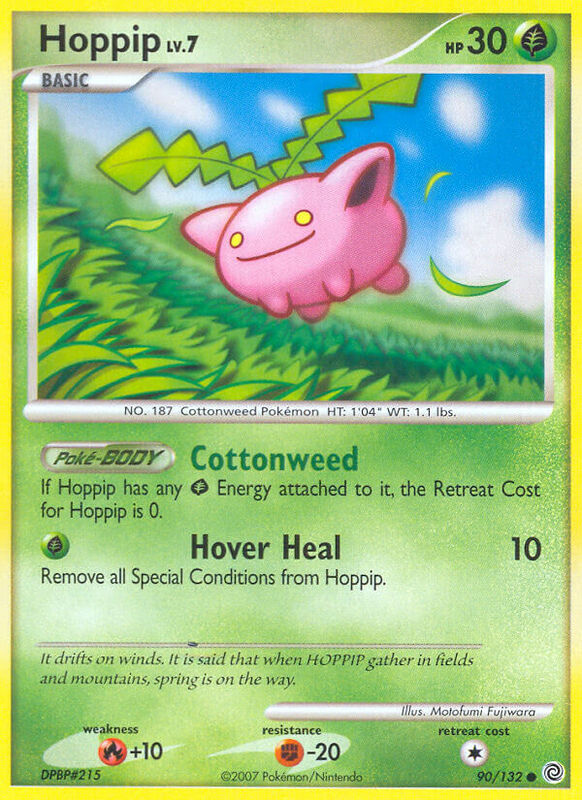 Remove all Special Conditions from Hoppip. 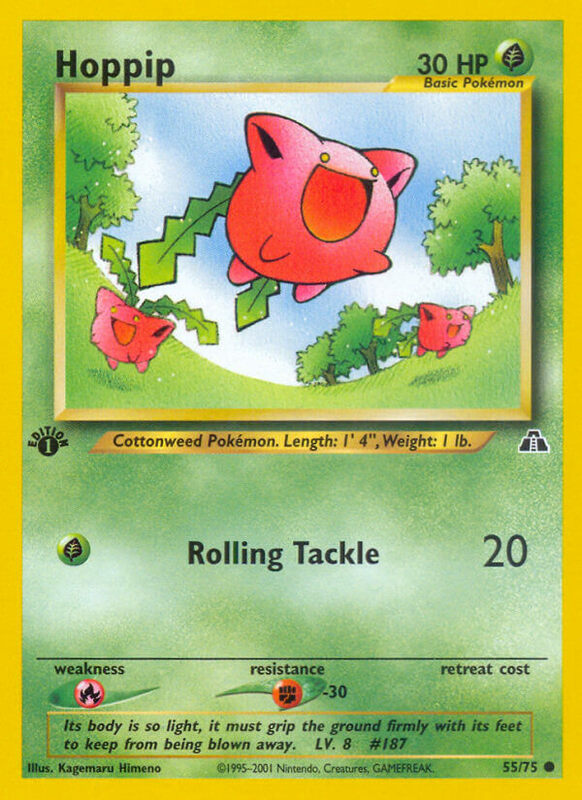 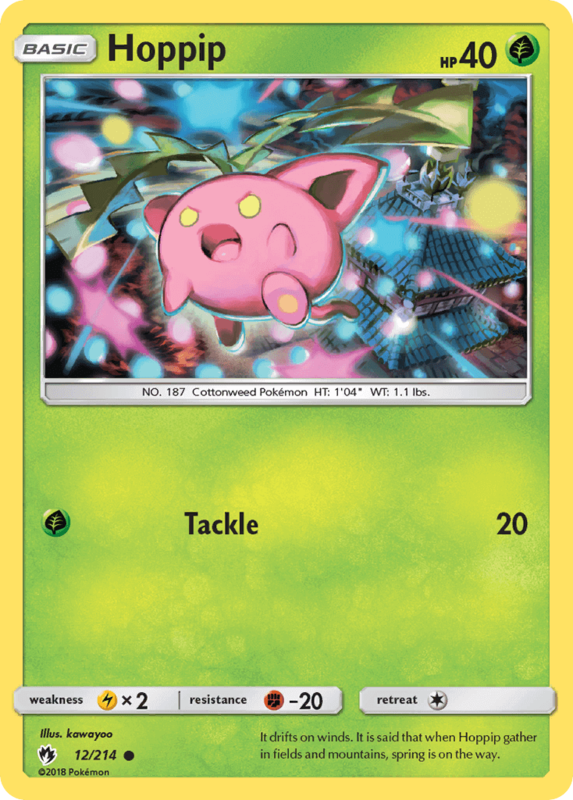 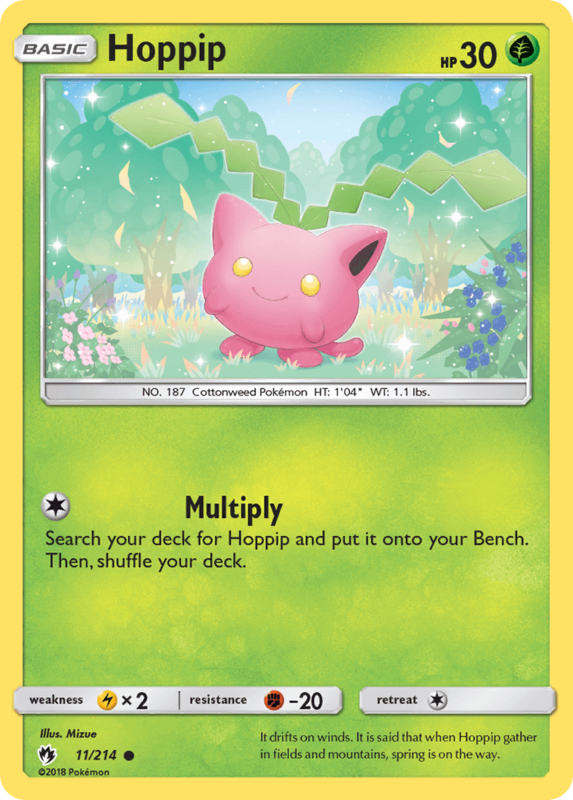 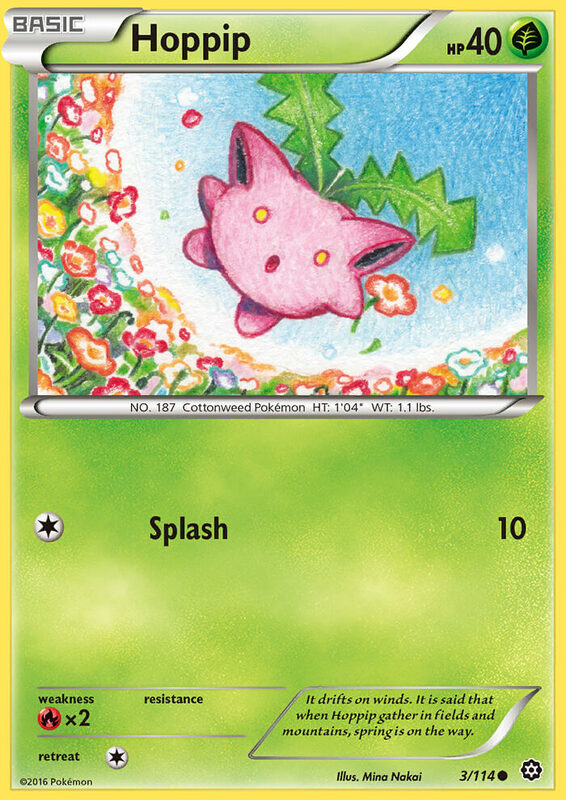 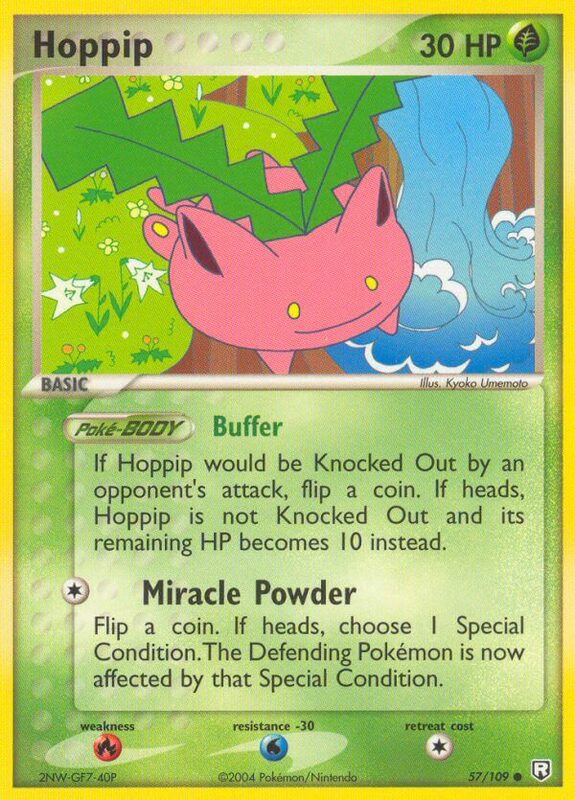 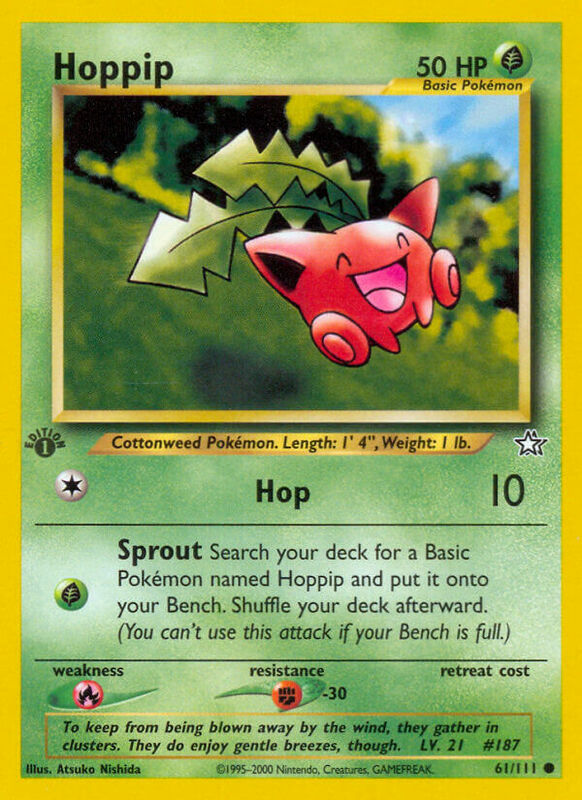 If Hoppip would be Knocked Out by an opponent’s attack, flip a coin. 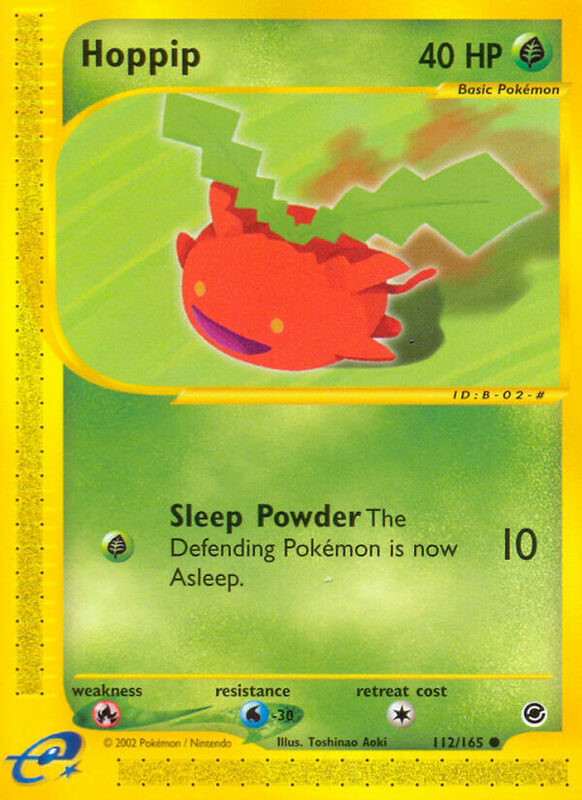 If heads, Hoppip is not Knocked Out and its remaining HP becomes 10 instead.